In 1967 or 1968 I was introduced to a psychic teacher who had studied with the Theosophists and pointed me to Buddhism. She practiced meditation but didn’t teach it very well. I said, “How do you meditate?” And she said, “You just sit.” So I’d get up every morning and sit on my bed for half an hour. I did it every single day. Yes, but I knew some transformation was happening. There was something alchemical about practice. What does your practice look like these days? It’s a daily formal practice of meditation. For me, that’s support for practicing life—practice on the cushion is preparation for the day. With a mind that’s calm and reminded of what’s important, you can go into life and do all the things that you need to do—with generosity. You can approach every person that you encounter with generosity, even people that you’re pissed off at, even the customer service person who isn’t giving you what you want, or the person that you’re having that real issue with, something important and deep. Can you enter into every single one of those experiences with some feeling of generosity? For me, that’s the essence of practice. And the essence of the dharma as well? I don’t know if it’s the essence, but it’s certainly essential because without generosity, there’s no kindness and no openness to developing wisdom. Even if you think you’re kind, if you’re not giving, kindness has no avenue for expression. Compassion begets generosity. Generosity begets compassion. And generosity comes from wisdom, from understanding the suffering of impermanence and I’ing and my’ing. We see that everything is impermanent so we know that even what we’re giving away, we would have lost anyway. When self-importance dissolves, we look out for our fellow beings. Generosity is a practice that you can do. In every situation, you can say, “How can I be generous here? Am I giving enough? 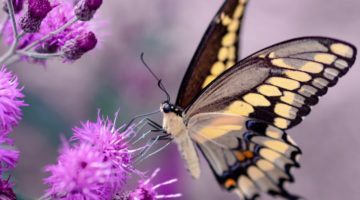 What am I withholding?” Through the practice of generosity, we get a strong sense of abundance, connectedness, interconnectedness and tremendous joy. How do we, as lay people, live comfortably in our capitalistic culture? How do we live, not in hair shirts, but at the same time not so attached to materiality that we become enslaved to more, more, more? I think generosity is the key. Your house is immaculate. Do you always have fresh flowers around? Yes, because I feel that if I am contemplating beauty in my environment, I’m creating space in the mind, and if I’m contemplating chaos, the mind gets chaotic. 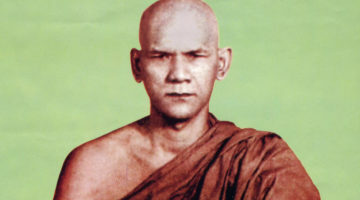 On a retreat with Sayadaw U Pandita, one of our root Burmese teachers, the first thing he said was, “Go to your rooms and clean up.” I thought, wow, we came to see this great master for these amazing meditation techniques and deep teachings and what’s the first thing he’s teaching us? Awareness of our physical environment. Cool. Mindfulness is 360 degrees—internal and external! That said, when the flowers die, I’m not crying. Or if one of our grandchildren comes and makes a mess, I’m not running after them saying, “Oh, don’t make a mess.” Make a mess. It can always be cleaned up. So where’s the balance and where’s the extreme? 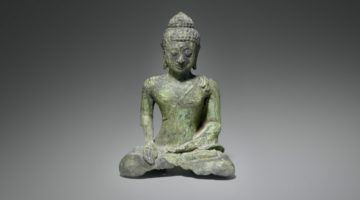 In practicing dharma, that’s a constant contemplation. Attachment is a form of extremism. Can you talk a little more about balance? The best metaphor I can think of for balance is the headstand in yoga. It requires tremendous balance but it’s not balance that is achieved and final. You move to the left because the body is bending over to the right. You move to the right because the body is listing to the left. And you move forward because the body is going back. The posture may look static (and even perfect), but the yogi is making micro adjustments all the time. In our practice of dharma, if we are too perfectionistic or idealistic, we can feel as if we’re constantly falling short. So balance is something that we’re constantly losing and regaining. For me, the practice of dharma is not about extremes. It’s about balance. 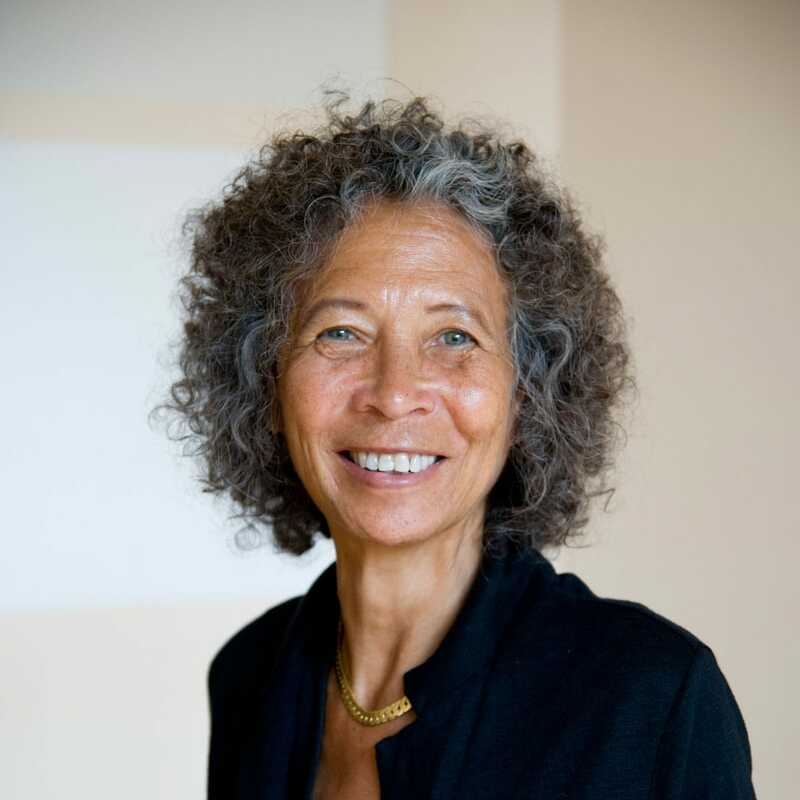 For more on Gina Sharpe, see There Is a Path That Frees Us from Suffering. Andrea Miller is the deputy editor of Lion's Roar magazine and the author of two picture books: The Day the Buddha Woke Up and My First Book of Canadian Birds. 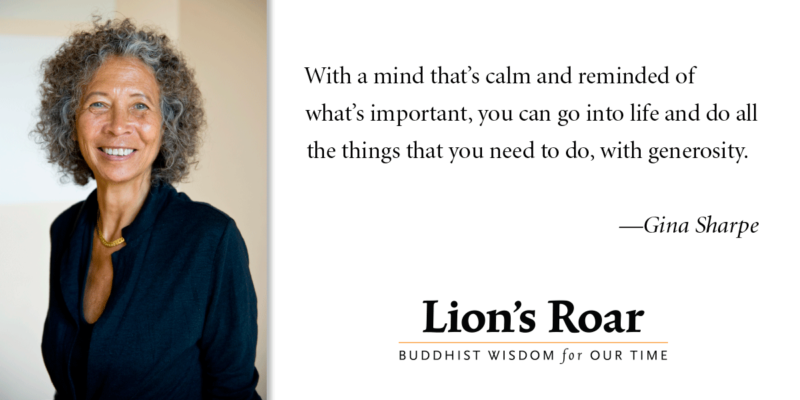 She's also the editor of three anthologies, most recently All the Rage: Buddhist Wisdom on Anger and Acceptance.